Whether it’s a chic reception, decisive board meetings or a company training session, The George, Urban Boutique Hotel will plan and execute the ideal event to ensure your function is a memorable success. Our beautifully appointed Boardroom with 46″ LCD TV can host up to 12 people and is located on the Ground floor. 180 square metres of meeting space that may be divided into 3 smaller rooms. 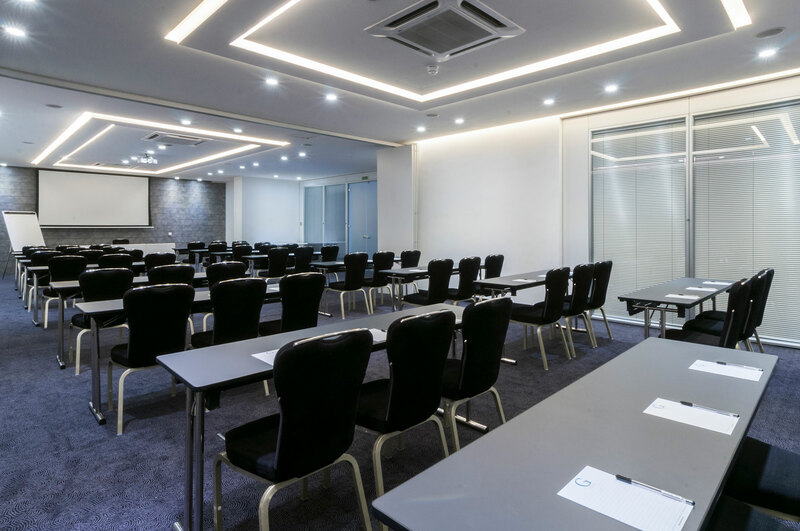 Ideal for plenary and conference sessions with break out possibilities with comfortable and spacious seating arrangements and underground parking. The 24 hour internet zone includes fully-wired workstations, free WiFi, newspapers, and TV. The George is situated moments away from some of the top restaurants casinos and nightlife of St. Julians and our in house spa will allow you to leave your worries, stresses and thoughts at the door. We are also situated within a 5 minutes walk from the Portomaso Conference Centre Malta making us the ideal place to say when attending. We have the perfect facility to accommodate your needs. Send us some details and we’ll get your group taken care of!